Yes it`s FREE but that’s not the only reason it`s FAB! Up to 15 venues host music and dance from lunchtime on Friday through to Sunday night. On the canalside and in the town centre, artists from around the UK (and beyond) perform to 1000s of visitors each day. Together with 100s of canal boats and town centre setting, Middlewich FAB (folk and boat) Festival continues to provide a fabulous showcase of live entertainment each June – join us? We are proud to be one of the sponsors for this great event, which is now in its 25th year! Andersen Boats, who provide canal holidays from their base in Middlewich Cheshire, today announced that it has received a TripAdvisor® Certificate of Excellence award. Now in its fifth year, the award celebrates excellence in hospitality and is given only to establishments that consistently achieve great l reviews on TripAdvisor. Certificate of Excellence winners include accommodations, eateries and attractions located all over the world that have continually delivered a superior customer experience. This will be a great attraction on the Lymm route, along with the Anderton Boat Lift, Anderton Nature Reserve & Woodlands, Walton Park & Childrens Zoo…..
Salt-making in Cheshire dates back over 2000 years, when the salt towns of Cheshire were first established by the Romans. Originally salt was extracted from the ground by a series of natural brine pits. In the 17th century the first of a series of mines were begun in the Northwich region but were exhausted around 1850. The exhaustion of the mined rock salt supplies resulted in a change to wild brine pumping. The brine was pumped out of the ground to supply the salt works based at the surface. By the late-19th century brine shafts and traditional open pan salt works dominated the area around Northwich, many controlled by the monopolistic Salt Union. In 1856 John Thompson Senior (1790-1867) and John Thompson Junior (1821-1899) constructed the Alliance Salt Works on the eastern side of the Lion Salt Works site. The Thompson family sold the Alliance Salt Works to the Salt Union and it closed around 1900. In 1894, Henry Ingram Thompson, constructed a new salt works that became known as the ‘Lion Salt Works’. The new company quickly built a series of pan and stove houses. The salt works ran on the site for almost 100 years. The outbreak of the Nigerian Civil War (1967 – 1970) saw the loss of a major market in West Africa and the eventual closure of the works in June 1986. Für Anfänger auf dem Kanal. Für Anfänger auf dem Kanal. Wir waren Ende April 2015 für eine Woche mit einem Narrowboat (Fjord Monarch) von Andersen Boats aus Middlewich unterwegs. Die etwa 2 stündige Einführung mit Begleitung zur ersten Schleuse hat die Angst vor diesem langen Boat genommen. Das Boat war bei Uebernahme sehr sauber und einfach perfekt für 2 Personen. Die ganze Crew von Andersen war sehr zuvorkommend und hat all unsere Fragen geduldig beantwortet. Man fühlte sich gleich zuhause. Wir fuhren Richtung Manchester und haben jeweils bei einem Dorf oder Pub angelegt. Dies war perfekt und wir fühlten uns sicher. In Sale blieben wir 2 Nächte und von dort fuhren wir jeweils mit dem Tram nach Manchester. Unterwegs mit einem Narrowboat ist sehr gemütlich und trotzdem verging die Zeit wie im Fluge. Leider gab es unterwegs keine wirklichen Sehenswürdigkeiten; meistens nur Natur, ein Atomkraftwerk in der Ferne, eine Chemiefabrik und mehrere kleine Orte. Wir haben diese Route gewählt, weil es nur 2 oder 3 Schleusen und 2 Tunnel hatte. Für Anfänger eine perfekte Strecke und in der Vorsaison nicht zuviel Verkehr auf dem Kanal. Die Rückgabe war ebenfalls problemlos. Der bezahlte Preis beinhaltete alles wie Diesel, Versicherung und Reinigung. Die Narrowboats von Andersen sind sehr gut unterhalten, unser Monarch war ganz neu. Nochmals besten Dank for a great holiday an Andersen und die ganze Crew. For beginners on the channel. We were in late April 2015 for a week with a Narrowboat (Fjord Monarch) of Andersen Boats from Middlewich road. The roughly 2 hour introduction with accompaniment to the first lock has taken the fear that long boat. The Boat was very clean upon acceptance and perfect for 2 people. The whole crew of Andersen was very accommodating and answered all our questions patiently. We felt at home the same. We drove towards Manchester and have each created at a village or pub. This was perfect and we felt safe. In Sale we stayed 2 nights and from there we drove each by tram to Manchester. Traveled with a Narrowboat is very cozy, yet the time went by very quickly. Unfortunately, there was no real road attractions; mostly just nature, a nuclear power plant in the distance, a chemical plant and several small villages. We have chosen this route, because it had only 2 or 3 locks and 2 tunnels. For beginners a perfect track and in the preseason is not too much traffic on the canal. The return was also without any problems. The price paid included everything as diesel, insurance and cleaning. The Narrowboats of Andersen are very well maintained, our monarch was brand new. Thanks again for a great holiday at Andersen and the whole crew. A canal holiday offers a new adventure every day…..
An amazingly special and memorable style of holiday, narrowboats allow you the opportunity to wake up somewhere new each day. 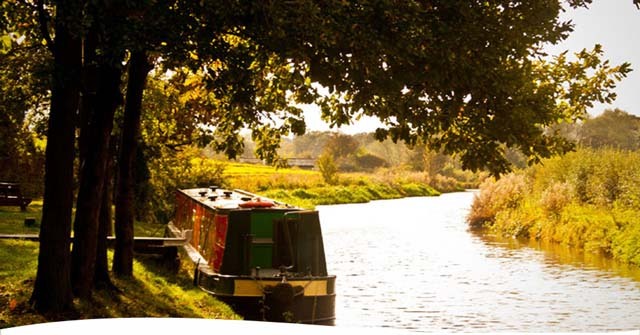 By choosing the route of your choice, canal boating also allows you to experience the serenity of a rural location or the excitement of a brand new town or city to explore. A family business with heaps of experience in offering canal boating holidays and day trips, Andersen Boats are 5* rated on TripAdvisor and have recently won Hoseason’s Best in Britain for UK Boating Holidays. 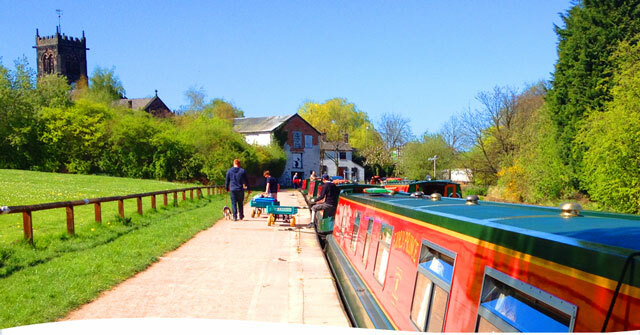 Based in Middlewich, Andersen Boats enjoys a prime position with many different route options to choose from including Chester, Manchester and the ever popular Llangollen canal which boasts a picturesque backdrop, and many more. This year (spring, summer or autumn) why not get your self a great holiday deal with us and experience everything a great canal holiday offers! Click here to find your self a holiday to remember…. Our NEW Canal Boat is ready for hire! 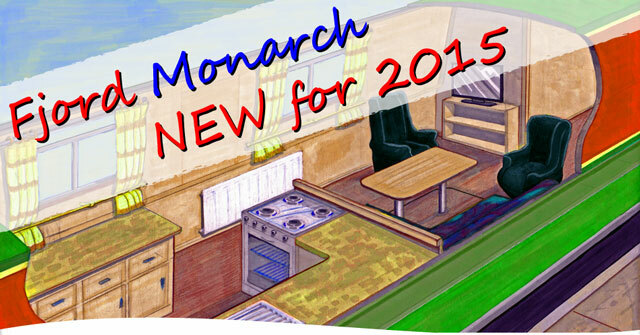 Our New Canal Boat Fjord Monarch is ready to hire! We have been building a new canal boat for a while but now she is ready, Fjord Monarch is now the latest addition to our narrowboat fleet for 2015. 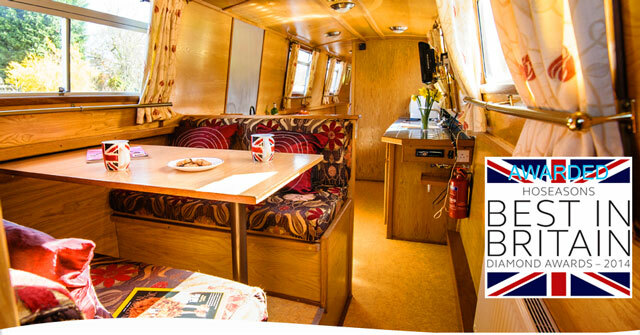 She is a 62feet long 4 berth canal boat with 2 double beds, 1 fixed and the other you make up in the dining area. Take a look at the pictures and you can see we have taken every care to design and build something special for you to enjoy our canals in. See below what people have thought on Facebook and if you want to get more details or search for a holiday click here. 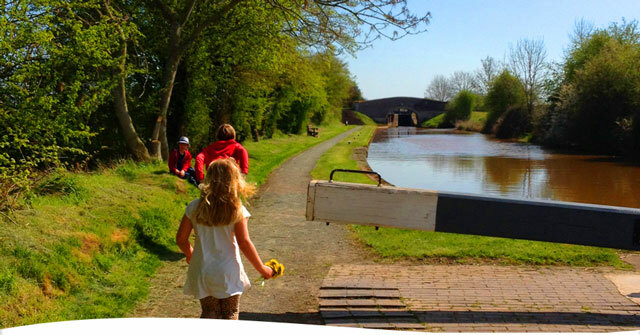 A canal holiday with us…. Our small party of three had been contemplating a canal holiday for some time. We had looked at a number of options: different counties, different canals, different operators. 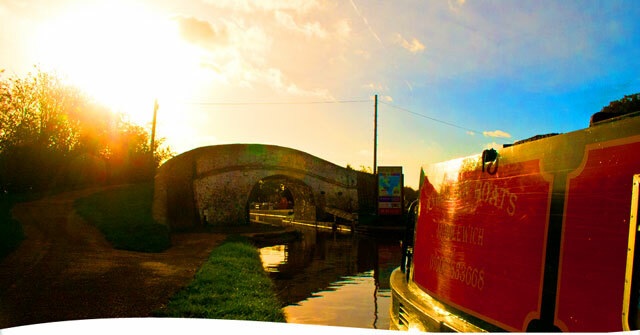 Finally we decided on the Shropshire Union Canal and started to look for narrowboat hire companies. We came across Andersen Boats quite late on in our search but were impressed by the extremely large number of positive votes on Trip Advisor. Having great faith in the opinions of others we decided we’d go along with the reviews and made our booking: 3 of us, possibly a fourth joining us, on an 8-berth boat. We liked the idea of room and spaciousness! From the first, the staff were helpful, informative, never pushy and always friendly. We felt we had made a good decision and were looking forward to our holiday. We arrived on a Saturday. Car parking was more that ample (2 cars per boat) and extremely secure. The quayside ran right along the side of the boatyard so that unpacking the car and loading the boat was extremely easy. Trolleys were provided to make like even more easy. As soon as we had loaded our belongings, we had a briefing (show through) from Eddie who was great! Everything was explained and no question, however daft it might have seemed, was answered other than with courtesy and reassurance. There were a number of daily maintenance and inspection tasks to do, a few no-no’s and the usual warning about bending the rudder and how to avoid an expensive repair bill. We were shown how to use the moorings and fill up with water when needed. 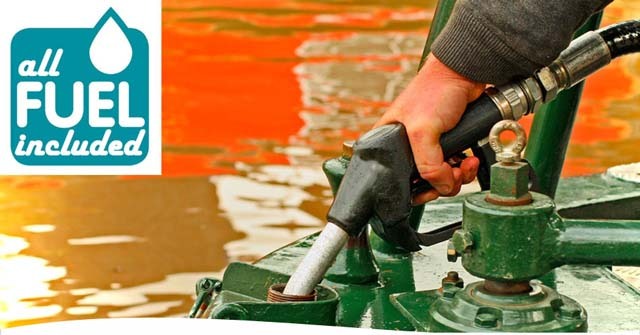 (The advice to top up every time you pass a water point should be well heeded – you don’t want to run the tank dry). Finally the point was made that we could phone the boat yard any time to ask questions or if we got into trouble: Andersens were there to support us and make sure our holiday wasn’t spoilt in any way. Pauline was on hand to offer advice about destinations and options we could take during the week. All very helpful for a crew who had absolutely no clue at all about this particular canal system. Next was Ryan who took me through the boat handling. Eddie and a colleague had gone off with the rest of our team to go through lock procedures. Between them, Andersen staff took us through the first three locks including an awkward right hand turn into the third lock before wishing us well and sending us on our way. I shall say a little about the canals we toured towards the end of this review; for now I want to concentrate on the boat we’d hired. The Fjord Emperor is a big boat and I had wondered if we had bitten off more than we could chew. The first really tricky manoeuvre was a tight right-hander into the Middlewich branch at Wardle. 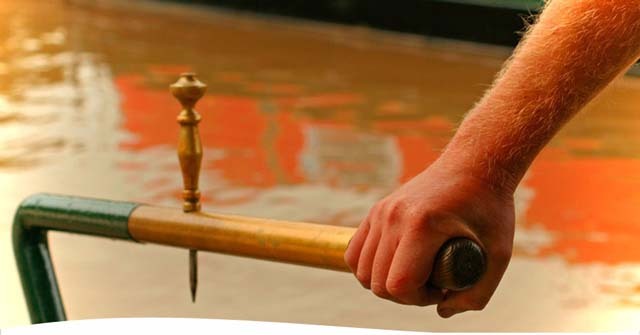 Ryan had advised us that we could us the winding post on our right and a mooring rope to keep the bow tucked in as we swung the stern round to line up with the bridge and the lock immediately beyond. Great advice for which we were very grateful. The next big challenge would be at Barbridge with another right-hander to take us up to Chester but once again the advice was: “be confident and go for it”. The dual edict: “Take it slow and be confident” turned out not to be incompatible advice; there were times when a gentle turn, a steady approach were just the right thing and other times when a hard rudder and throttle would swing the stern round when needed. We decided that the Fjord Emperor wasn’t too hard to handle after all! The boat itself was very well equipped. At handover it was spotless and there were nice touches like a vase of fresh red roses and a bottle of wine. There was a good deal of room (we learned during our holiday from others who had booked with different operators, how tight space could be on their boats). The engine was quiet too – something we really appreciated when cruising along quiet waterways. Crockery, cutlery, cooking utensils and equipment were in good supply and again, all nice and clean. Bedding had been provided (pre-book the quantity you want) and all the beds had been made ready. Hot water (really hot water), provided indirectly by the engine, was plentiful after only a short time cruising, the shower nice and hot and the shower room spacious enough not to feel claustrophobic. 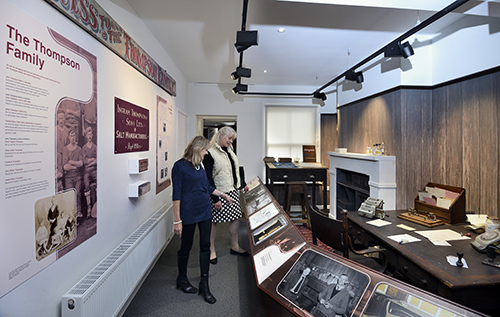 The interior is nicely fitted out in oak and oak panelling, work surfaces in the galley are plentiful and fixtures and fittings thoughtfully laid out and in excellent repair. The fridge was standard size, plenty of room and spotlessly clean at handover. Kettle is heated on the gas hob. There is good seating up front for those who want just to watch the world drift by. Two folding chairs were provided. Hair dryer, a radio and TV are available as are 240 volt sockets forward and aft for chargers and your own equipment. Now to the holiday route: we did the short section of the Trent Mersey to Wardle (three locks) and took a right onto the Middlewich branch. We stayed over at Church Minshull (Bridge 14) the first night and had an evening meal at the Badger in Church Minshull. This was an easy first day’s cruising with no deadlines. The Badger is highly recommended but make sure you have torches and hi-vis clothing for the return journey at night: the road nearest the canal has no footpath). Second day was Church Mishull to Bunbury along the Chester Canal via Barbridge Junction. We stopped overnight just beyond bridge 105A and had an evening meal at the Dysart Arms, highly recommended but note again there is no footpath for most of the way along Bowe’s Gate Road. (The Yew Tree Inn just beyond Bunbury had also been recommended to us but was simply a bit too far). Day three was Bunbury to Christleton where we were able to wind the boat at Quarry Bridge just before Bridge 121 and moor up close to the Cheshire Cat. This too is a highly recommended pub/restaurant, the food simply delicious and the staff incredibly helpful. Day 4 was a full day in Chester. Day 5 was Christleton to Barbridge (near Stoke Hall Bridge No 99) and an evening meal on-board. Day 6 was Barbridge and return to Barvbridge via Nantwich and an evening Meal at the Olde Barbridge Inn, again highly recommended, convenient with great food and service. Final day was Barbridge back to Andersens boat yard and an evening meal at The Kinderton House Hotel (modern, great food but very noisy atmosphere). We had also checked out The Narrowboat pub but there was loud music playing and the seating area was directly below a balcony with a pool table – not really for us, nor for you if you want a quiet, relaxing conversation with your fellow narrowboaters at the end of your holiday (Andersen Boats adds “The Narrowboat pub offers a variety of different events, some as described and on other nights things are a lot more chilled.. a great pub to visit. Also you can visit the Big Lock & Kings Lock pubs for food and drink at the canal side). In summary would I recommend Andersens? Of course I would. After such a pleasant experience why would I want to risk booking with anyone else? Andersen Boats has been awarded two top tourism awards by domestic holiday giant Hoseasons for UK Boating Holidays. The Middlewich-based boatyard won in the Best in Britain and Best on the Canals categories at Hoseasons’ ninth annual Gala Awards evening – an awards ceremony showcasing the very best of the firm’s 62 boatyards across the UK. The awards come in the same year that Hoseasons is celebrating its 70th anniversary, as well as a new logo and brand identity to reflect its move towards the more luxurious end of the UK holiday market. “Winning these awards means Andersen Boats is among the best in our entire UK portfolio,” said Simon Altham, Managing Director for Hoseasons. Andersen Boats’ awards were presented by Gail Mandel, Chief Operating Officer and Chief Financial Officer of Wyndham Exchange & Rental – the parent company of Hoseasons. The awards are broken down into region and type of holiday experience and presented to Hoseasons operators that have achieved the highest scores in customer satisfaction surveys. 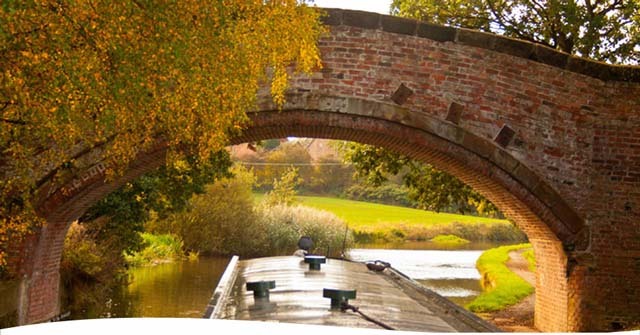 For a 2015 canal boat holiday in the UK, why not take advantage of this great early booking deal… £150 off 7 nights bookings or the first week of multi week bookings & £75 off short break bookings… with the amazing places and adventures they have to offer. These offers can be used with our already amazing 10, 11, 14 or 21 night discounts. These offers are automatically calculated on all holiday quotes given via our holiday search page. From cruising around one of the varied and hugely enjoyable Ring Routes or taking in the breath taking sights of one of our other routes such as the Llangollen Route, with its amazing countryside and must be seen views from the Pontcysyllte Aqueduct, awarded World Heritage site status by Unesco in 2009. Take a look at our routes here. You can be sure of a first class handover and tuition from skilled staff, accredited by the British Marine Federation for Hire Boat Instruction and Handover Procedures. So you will know you are in safe hands. Pets are welcome on all our boats, with up to 3 pets FREE. Registered assistance dogs will always be accepted free of charge on all our boats subject to availability of suitable accommodation. Fuel is fully inclusive in all online prices and quotes given via email and phone… so no extra charges when you return from your holiday with us.